At the risk of being tiresome, this isn’t correct. We need to add about 150,000 jobs each month merely to keep up with population growth, which means that real net job growth is negative and has been for over a year. 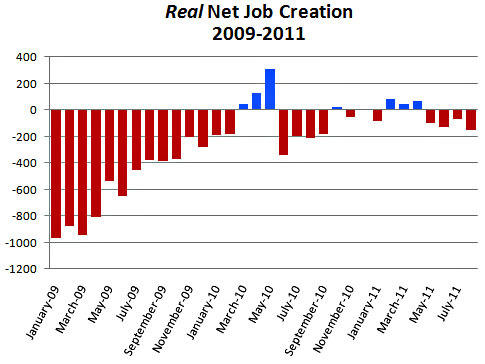 The chart below shows real net job creation over the past three years. We should do something about this. How about a trillion dollars for infrastructure?